Earth is a paradise for living things, many living and extinct species alternate each year. According to a recent data analysis, researchers estimate there are 8.7 million species that inhabit the planet. But up to now only 15% have been known and recorded. The remaining 85% is still unknown. This means there are still many species of creatures that have not been detected. Since ancient times our ancestors have described some of the creatures they once encountered. They tell it from generation to generation to become a legend in an area. In the world of science this creature is categorized as Cryptozoology, the animal of folklore that has not been determined whether extinct creatures or unidentified creatures on earth. This creature comes from the forests of Eastern Africa. Has the characteristics of yellowish fur disekujur body, long hands and walk upright with two legs like a human. But only has a Height between 1 to 1.7 meters. 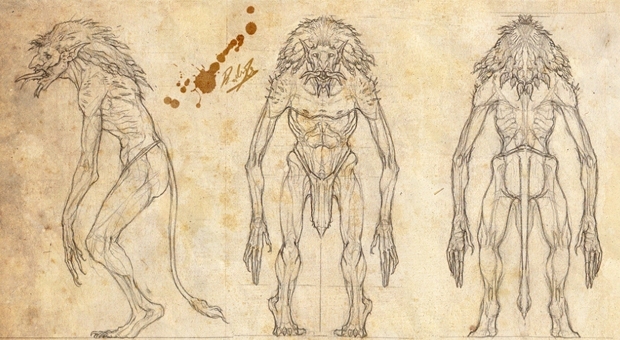 Kakundakari was first seen by Captain William Hichen in 1900, he saw this creature resembling a dwarf having reddish yellow feathers, when he looked like a boy about 4 feet tall around the woods. 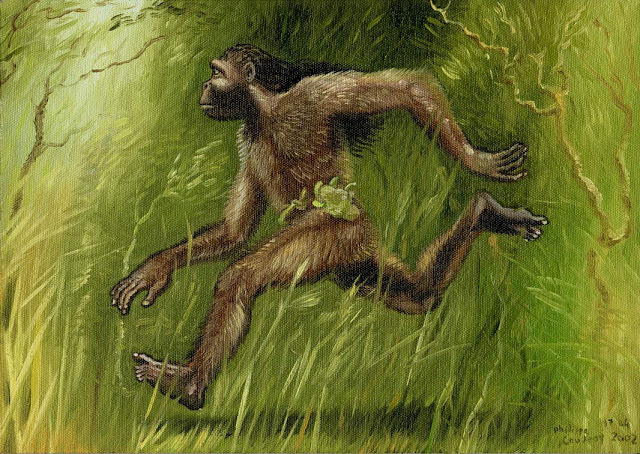 According to scientists if these creatures really exist, they would be classified as a species of gracile australopithecus, one of the bipedal primate species (of the two legs) of Africa that became extinct thousands of years ago. The creature comes from folklore society around the river Altamaha which is located southeast of Georgia, America. Altamaha-ha is also called Altie first discovered by the local Tama Indian tribe. 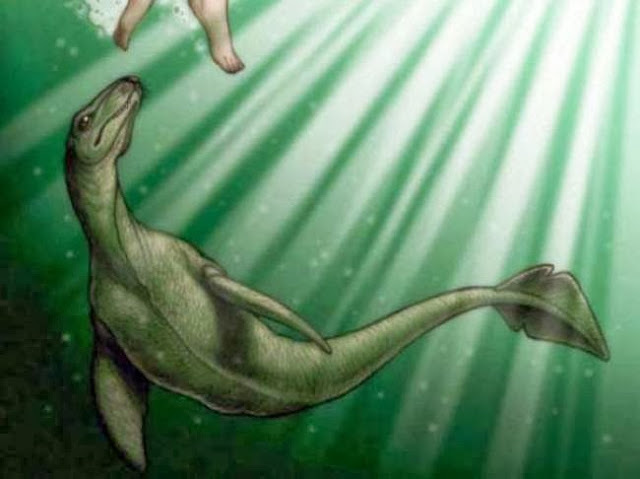 Described to have a fish-like shape with a bony spine on its back and two fins in front, the animal is swimming like a dolphin. At the head has a snake-like crocodile, the body is gray with a yellowish white belly sometimes these animals can also turn green to masquerade in the swamp. So far no reports and physical evidence have been found. Amomongo is a famous mythological creature in the Philippines. It comes in a way like an ape-like furry man with long nails. Locals consider him a monkey cave at the foot of Kanlaon Mountain. This creature is reported to have once descended the residents' settlement and tore the goat's stomach as well as the chicken to pick up its innards. As the title suggests, this tree is capable of eating humans or animals around it. In some areas this tree has different names, such as the Madagascar Tree, Nubian, Ya Te Veo and Vampire Vine. This tree was once told by a German adventurer named Carl Liche in 1981. 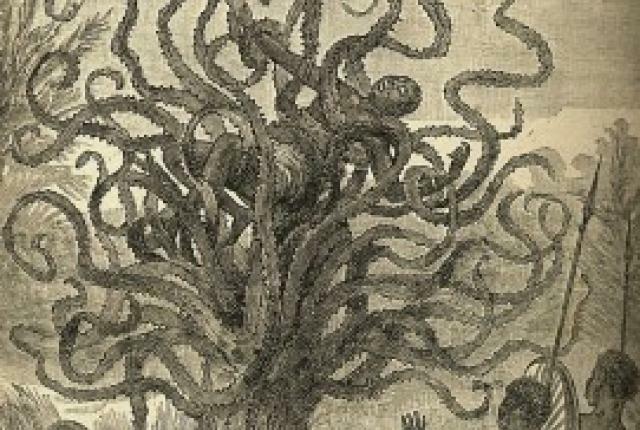 In his account of the sacrifices made by the Mkodo tribe in Madagascar, he described the tree as slender but vicious as a snake. This tree is able to twist a human like anaconda and wrap it tightly into the trap. Mapinguari is a famous legend of Indians in the Amazon jungle. There, this creature was nicknamed the Giant Guard of the Forest, greatly feared by Indian hunters. 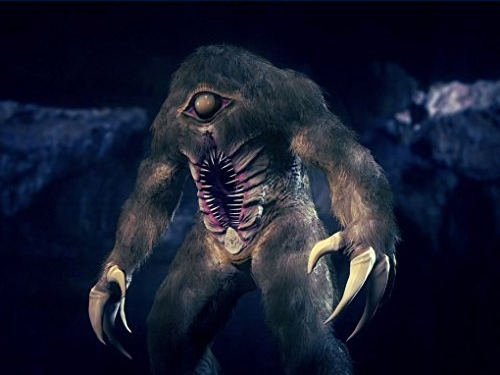 They depict very terrible Mapinguari, has a height of 3 meters with large claws, long and sharp, big mouth in the middle of the abdomen and one eye in the middle of the head. His favorite foods are livestock such as cattle, goats, buffalo. According to the story of the locals, this creature also has a very thick skin that can not be penetrated by arrows.